Listen to a standout cut off Waka Flocka & Young Sizzle's "LBFJ 4" mixtape: "Workin With a Check," featuring Chaz Gotti. Rarely do partnerships in the rap game last as long as the one between Waka Flocka and Southside, the 808 Mafia boss who raps under the alias Young Sizzle. 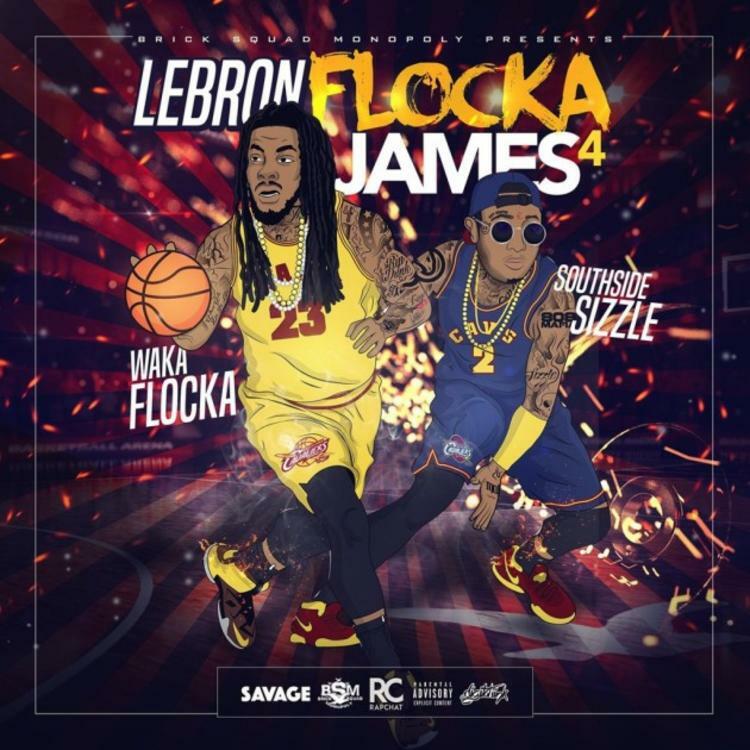 Almost seven years since the original LeBron Flocka James, on which Southside had production, Waka has enlisted the rapping skills of Sizzle for the entirety of LeBron Flocka James 4. There's also plenty of Southside beats on the joint tape, too. One of the LBFJ4 tracks that has garnered immediate attention is "Workin With a Check," which also features Chaz Gotti of Brick Squad Monopoly. The menacing energy of "Workin With a Check" is palpable right away. "Certified street n*gga, you can ask my mama," raps Waka. The track is reminiscent of the raw, high-adrenaline mixtape cuts that first helped him take over the streets of Atlanta. Download LeBron Flocka James 4 here.